WAIST HIGH: Oregon. We Don't Speak Your Language California. Oregon. We Don't Speak Your Language California. Say hello to the central Oregon coast town of Florence, recently "rated the top retirement spot in America." (koin.com) According to USA Today: "This year's study reflects a continuing shift from Florida as a retirement mecca to the Pacific Northwest, the Rocky Mountains and the Southwest." 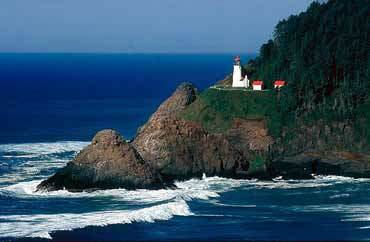 Waist High useless fact of the day: Heceta Head lighthouse is one of the most photographed lighthouses in the United States.